How Can Chiropractors Help You Regain Health And Mobility After A Back Injury? After a traumatic incident like a car accident or a risky fall, your bones, nerves, and muscles can take a hit. You might experience lingering back pain, joint mobility problems, recurrent headaches and stiffness of muscles after an incident like that. Apart from quick imaging tests and medication, these problems call for expert intervention. 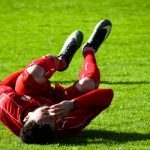 These injuries often escalate to affect the spinal cord, brain, and the musculoskeletal system. In such situations, one requires chiropractic rehabilitation that can address the various physiological issues that arise from traumatic events. It is difficult to take care of your body after it has been through trauma. Broken bones, torn ligaments, and severe sprains require the healing touch of an expert, who understands your body. After your body sustains a slew of severe injuries, you need to assist with stretching and training that can help you recover quickly. Modern chiropractic clinics incorporate the latest technology and tools that can help with the healing and rehabilitation process. Why should you pay more attention to your back problems? Are you aware that back pain is the second most common health problem in the US? More than 80% of adults suffer from some form of back ache today. Some of these cases arise due to extensive sitting during a desk job, while others are the result of old injuries that these people may have experienced early in their lives. Do you suffer from lower back pain or stiffness due to a fall or an accident that happened years ago? In that case, you need extensive rehabilitation under the watchful eye of an expert, who knows exactly what he or she is doing. While chiropractors are not orthopedic surgeons, they too have extensive knowledge of the human physiology, anatomy and pain management. They take a more hands-on approach than any GP or orthopedic doctor to “fix” these long-term problems. Visit the Demaine Chiropractic & Rehab Center Charlotte to find out more about modern chiropractic treatments. Are you paying enough attention to your back? The most common form of back pain is lumbar pain. According to the American Chiropractic Association, it is the leading cause of disability across the world. More than 50% of the working Americans complain of lumbar pain during their professional lives. As extended hours of sedentary work is becoming common across North Carolina, more people are complaining about pains in their lower back each day. 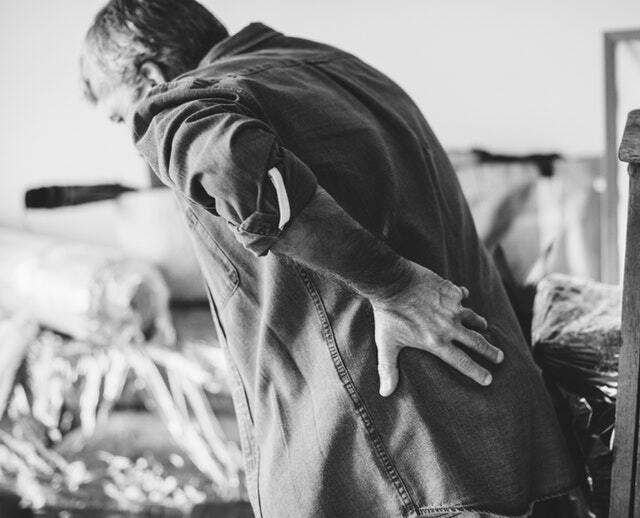 The most common symptoms range from tingling, weakness, and numbness in the lumbar regions, which may extend up to the lower limbs in certain severe cases. Some patients also complain about recurring headaches and migraine-like pains that result from the chronic back pain they experience every day. Our back acts as the primary support when we sit, stand, or walk. The bones, muscles, ligaments, tendons and joints aid in the support and mobility. Most importantly, the vertebra acts as a protective tunnel for our spinal cord that serves as the communications and control channel for our limbs. So, when a person suffers from a chronic back problem, it is no surprise that he or she should also suffer from mobility problems, issues of the nervous system and other health challenges. Our backs bear the weight of our body and help us move about throughout the day. Hence, not getting enough exercise, leading a sedentary lifestyle and weight problems can take a toll on the strength and health of your back. Why should you try chiropractic rehabilitation? Some of the problems that lead to back problems are quite easy to address – poor posture, unbalanced diet, lack of exercise and obesity. However, other intricate challenges consist of multiple interwoven factors that can lead to lumbar pains. Some of these more complex problems include pinched nerves, herniated discs and congenital issues that lead to the fusing of multiple vertebrae. Modern medicine can only help in treating the symptoms of most of these health issues. They cannot address the root cause of the problem. As a result, patients in Charlotte often resort to painful and expensive surgery. Sadly, the results of the operation are not always conducive, and the trauma from the invasive procedures exacerbates their existing challenges. What is the advantage of chiropractic rehabilitation? Chiropractors in Charlotte, NC, do not resort to invasive methods while addressing back problems. They resort to chiropractic adjustments that include drug-free methods to address the pain. In most cases, people suffering from chronic pain find relief due to the non-invasive and drug-free methods expert chiropractors use. A significant part of chiropractic rehabilitation practices includes understanding the cause of the pain, learning about the individual’s previous injuries, and physiological problems. A good pediatric chiropractor has to invest his or her time in understanding an individual’s physiology to the core. Only then he or she can stimulate the skeleton-muscular system and the adjoining ligaments or tendons to relieve the tension or pain. Why should you seek a chiropractic professional? As long as you are seeking treatment from a trained and experienced chiropractor in North Carolina, all chiropractic adjustments are entirely safe. If you have been to a chiropractor before, you should know that these adjustments can come with a lot of popping noises as the bones set back in place and relieve the stress. These can happen when the expert adjusts your postures and positions and applies necessary pressure to gently align your bones and muscles properly. While many new to chiropractic fear that these noises signal damage to the spine and joints, it is not true. It is similar to the sound you hear when you stretch your back or pop your knuckles. No evidence in science shows that popping your joints is bad for your health. In fact, research shows that these actions help in relieving the stress that leads to chronic pain and soreness in adults. Chiropractic rehabilitation is relaxing and completely safe as long as you are getting your sessions from an experienced and licensed professional. Studies show that chiropractic adjustments pose a significantly lower risk than any other medical procedure that doctors can perform in the same location. Most people report feeling immediate relief after one or two sessions. Depending on the seriousness of your condition, you might require a couple of days or weeks to feel the difference.